Contract clause added about ‘hijacking’ trip; activist urge ‘diversity of viewpoints’ on the Israeli-Palestinian conflict. 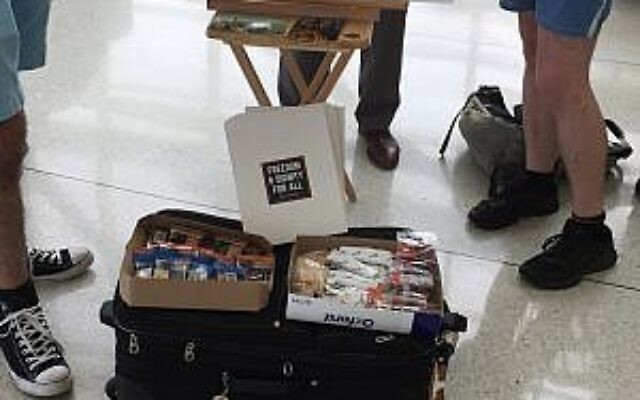 It began last June 18 with five members of IfNotNow being ejected from Kennedy Airport for encouraging Taglit-Birthright participants to ask about Israel’s treatment of Palestinians. Ten days later, five IfNotNow activists walked off a Birthright trip after complaining that their questions about the occupation were not welcome. 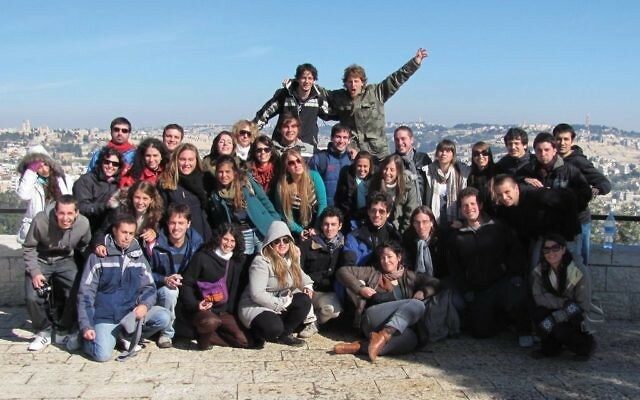 Less than a month later, eight more IfNotNow activists walked off a Birthright trip. Birthright leaders condemned those actions. But now, in an escalation of the tensions between IfNotNow activists and the group that organizes free trips to Israel, Birthright recently added a new clause in the Code of Conduct section of its contract that all participants must sign. It states that “to ensure the trip’s overall integrity and educational mission … (it will not permit efforts) to manipulate its open climate.” Those attempting “to coerce, force or suppress opinions, hijack a discussion or create an unwarranted provocation” face ejection from the trip. That clause was enforced for the first time last week during the fifth day of the free 10-day trip after three IfNotNow activists on the trip began asking about Israeli treatment of Palestinians. One of the three, Emily Bloch, 29, of Boston, told The Jewish Week that she had asked the guide about Israel’s West Bank separation or security wall when their bus passed it. “He talked a little about it without mentioning the effect the wall has on the lives of Palestinians,” she recalled. “He talked for a long time about what the wall meant for Israelis and why it was erected. He said crazy terrorists would come across the border, and said all Israelis wanted to be able to work freely … in a safe environment. I asked if we were going to hear any other perspectives; I wanted to hear what life was like for Palestinians. … He said he didn’t know of anyone who would be able to do that. Bloch said that portion of the film was then deleted and the three of them were told they were being ejected from the tour. Bloch added that unlike the 13 IfNotNow activists last summer, she had not planned to walk off from the tour. Contrary to Bloch’s claims, Troy said he cannot believe the three were ejected from the trip for asking one question. Although IfNotNow has gained the spotlight by sending participants to disrupt Birthright tours, there are other Jewish groups that also oppose Birthright. J Street U, the campus arm of J Street, which bills itself as a pro-Israel, pro-peace advocacy group, has a campaign calling on Birthright to incorporate the Palestinian narrative into its trips. And Jewish Voice for Peace, a group that supports an economic, cultural and academic boycott of Israel, calls for boycotting Birthright trips altogether. The Israeli newspaper Haaretz said it found that some of Birthright’s key trip providers have experienced a drop in attendance of from 20 to 50 percent this winter season (December through March) compared to a year ago. But Shlomo “Momo” Lifshitz, former president of Oranim, at one time the largest Birthright trip provider, told The Jewish Week that he has no sympathy for such participants. “We are tired of these young kids who have no clue and think they know better than those who live in Israel about what is right and wrong,” he said by phone from Israel. “We are not happy with the fence, but we don’t have any other choice. These children, young people, are coming to Israel on a free trip, half of which is paid for by the State of Israel, in order to fight against Israel. Bloch said that after they were told they were being ejected from the trip, they were told they had broken “the rules and regulations. We asked which ones” and didn’t get an answer.